If you're in the market for a new garage door opener, or are looking to get a new door installed, you should take the time to familiarize yourself with the most popular brands available out there. While price almost always plays a factor, you'll also want to make a choice based on longevity and functionality. Knowing a little bit about the most popular brands out there can help you make a more informed decision. 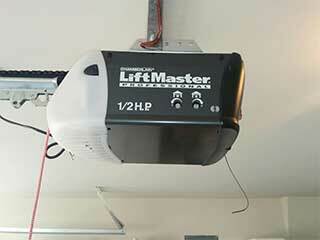 Many homeowners end up getting a Genie garage door openers. Since 1923, this company has focused on creating excellent products, and they are still among the industry leaders today. They first began selling opener systems in 1954. Theirs was the first radio-controlled system to get into mass-production. Today, the Genie brand leads the industry in battery backup systems as well. When security is a concern, it may be time to consider an opener made by Liftmasteer. This company has been producing top quality products for over 45 years. They offer units with Wi-Fi compatibility, as well as battery backups and more. Their openers are quiet and long lasting, and more modern units come with propriety smart phone apps. For those who want garage doors that look as nice as they operate, Clopay is a popular choice. Their products often offer upgraded appearances, from Asian aesthetics to a polished wooded appearance that has realistic grain but still offers the strength of steel, this company virtually has it all. Their focus is truly on a marriage between function and attractiveness. With product names that include DieHard and Ultra-Quiet, you know exactly what to expect when you purchase a Sears Craftsman garage door opener. They have systems that offer wireless keypad entry, remote control entry, Wi-Fi/smart device compatibility and even anti-burglary coding technology that can keep your garage door extremely secure. This brand is one many people are familiar with, thanks to the ubiquity of Sears stores around the country. Remember, whatever brand you choose, it is important to have your product installed by professional technicians in order to ensure that it stays functional for as long as possible.